The 2019 NBA playoffs continue on Sunday with four of the eight series opening with Game 1. The primetime game features MVP candidate Giannis Antetokounmpo and the top-seed Milwaukee Bucks (-12.5) beginning their quest for the title against the Detroit Pistons. 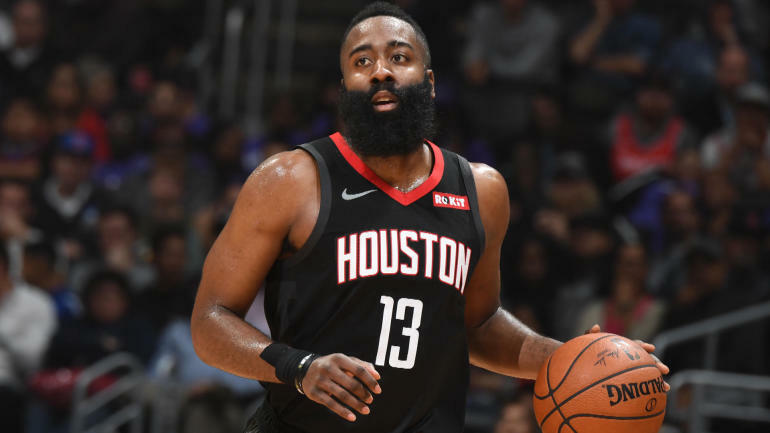 Other matchups include James Harden and the Houston Rockets (-6.5) facing the Utah Jazz in a rematch of a 2018 playoff series, the Portland Trail Blazers (-3) trying to beat the Oklahoma City Thunder for the first time this season, and the Boston Celtics (-7) hosting the Indiana Pacers. Fans across the nation will be placing wagers on these NBA odds Sunday, and sizzling NBA expert Adam Thompson has you covered, locking in his three NBA best bets of the day. He enters on an astonishing streak, so before placing any NBA picks of your own, you need to see what he’s saying about the action. Previously the award-winning sports editor of the Green Bay Press-Gazette, Thompson spent nearly 20 years covering the NFL, MLB, NBA and major college sports. He has taken his thoughtful and objective journalistic approach to looking at sports and applied it to handicapping. The results have been profitable too. In fact, Thompson is 76-57-1 in his last 134 NBA picks. He has been even more impressive over the last month, going 11-7 on his NBA against the spread picks. Now Thompson is all over Sunday’s slate, putting together a three-team NBA parlay that could return a strong 6-1 payout. We’ll give one key part away: Thompson is backing the Jazz (+6.5) on the road against Harden and the Rockets. Thompson also has identified an eye-popping trend for one team that has him jumping all over the spread in another game. Find out everything you need to know to complete your NBA parlay selections over at SportsLine. So which Sunday NBA picks should you back for a 6-1 payout? And what eye-popping trend makes one team a must-back? Check out Sunday’s NBA schedule below, then visit SportsLine now to get Sunday’s NBA best bets, all from the uncanny NBA expert who’s 76-57-1 in his last 134 NBA picks. Pacers at Celtics (-7), 1 p.m.
Thunder at Blazers (-3), 3:30 p.m.
Pistons at Bucks (-12.5), 7 p.m.
Jazz at Rockets (-6.5), 9:30 p.m.